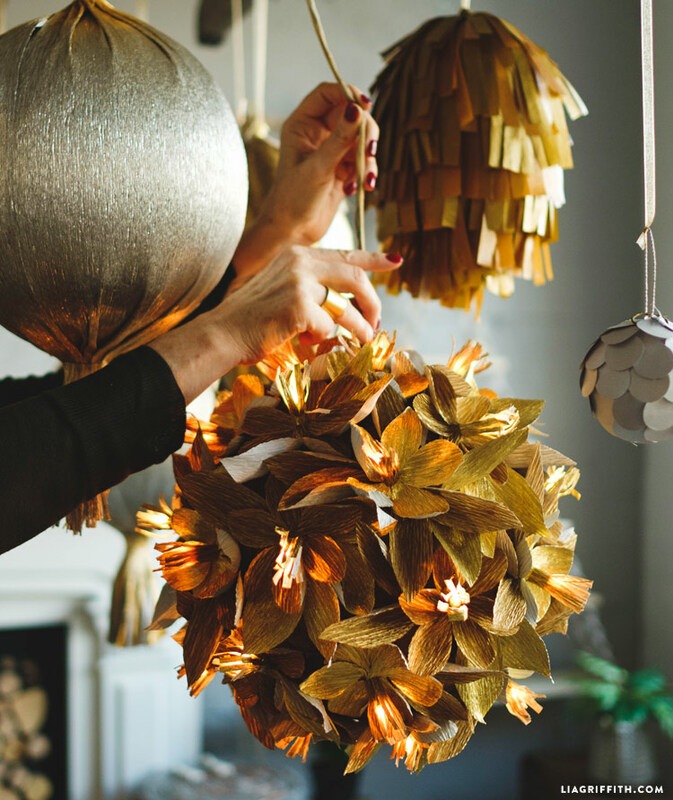 We love crafting with paper because it is just about the most versatile crafting material around. Not only are there tons of different types of paper to choose from, but you also have so many 2D and 3D project possibilities. If we are making 3D paper projects, we often like to use foam as a base, like our crepe paper owl or crepe paper pomegranates. 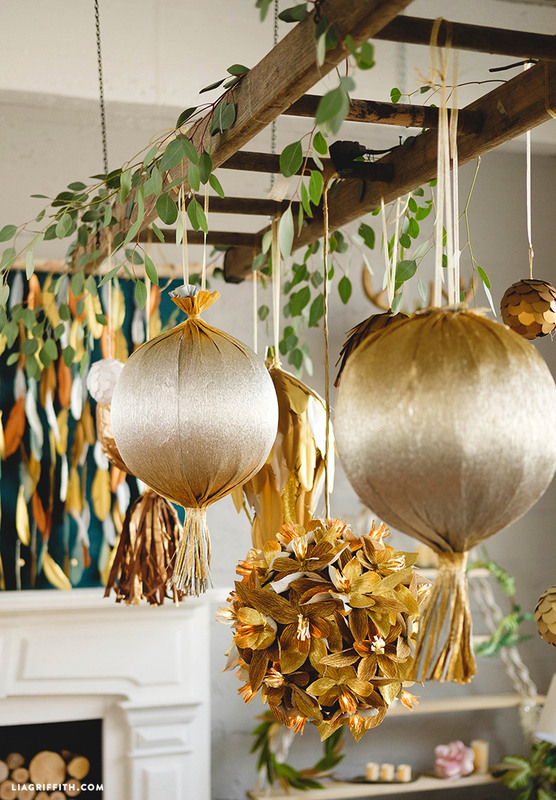 We have New Year’s Eve on the mind, and after FloraCraft sent us their Floracraft® Make It:Fun® Foam Balls in 8-inch and 10-inch sizes, we came up with this fabulous DIY paper party lantern. 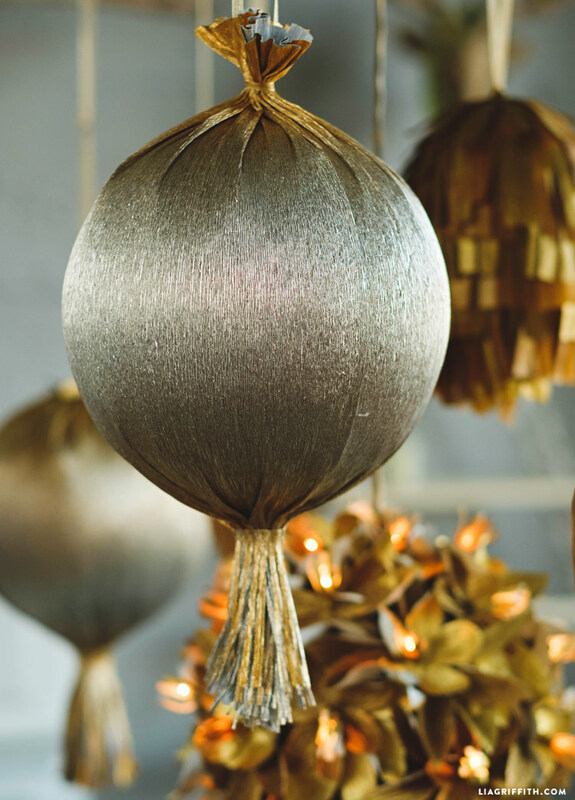 Of course, you could also make this lantern ball for celebrations at any time of year! 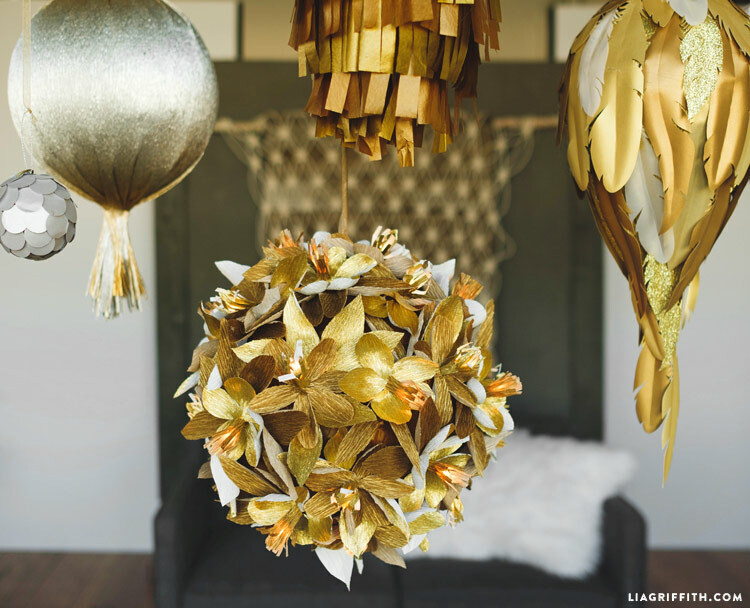 To make a DIY paper party lantern for your New Year’s party, start by gathering your materials. 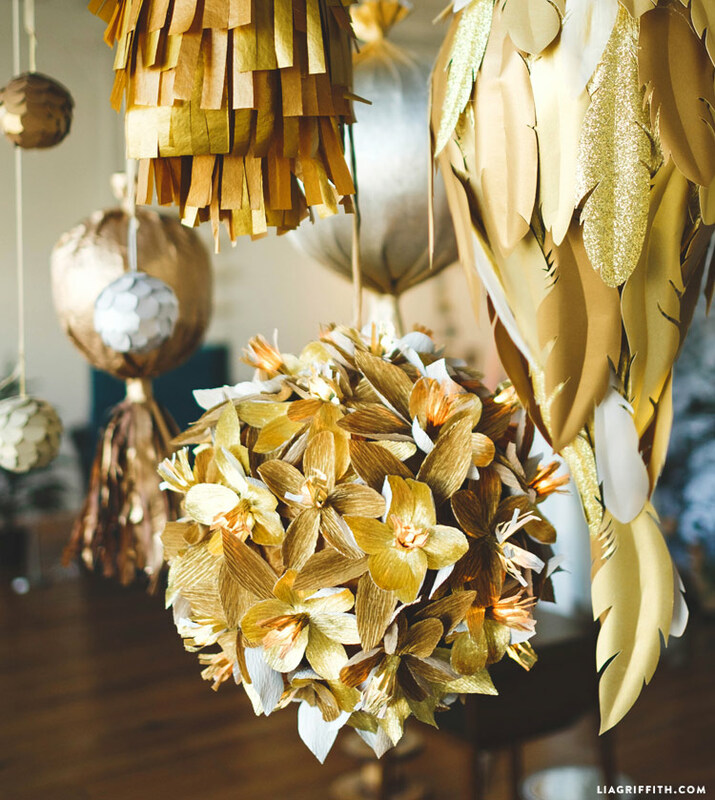 For this project we used a combination of bronze-y colored tissue paper and gold floristic crepe. We chose to use the 10-inch ball, but you could easily use the 8-inch instead. Download the printable instructions for a full list of materials. 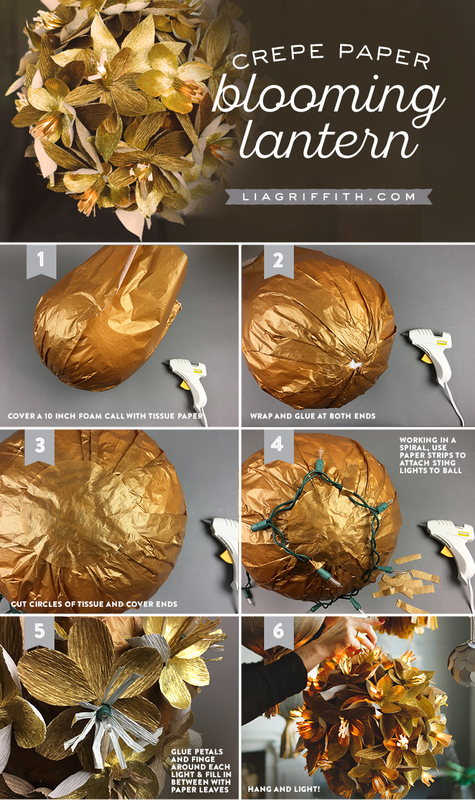 Then, follow our step-by-step photo tutorial below as you craft your lantern to help you through the process. Once you have your foam ball, cover it with your tissue paper. To do this, we just spread the tissue paper sheet around the ball and then gathered the paper in two places. Next we glued this to the ball with hot glue and cut off the excess paper. To give it a more finished look, we then glued small tissue pieces over to cover any areas that were not smooth. 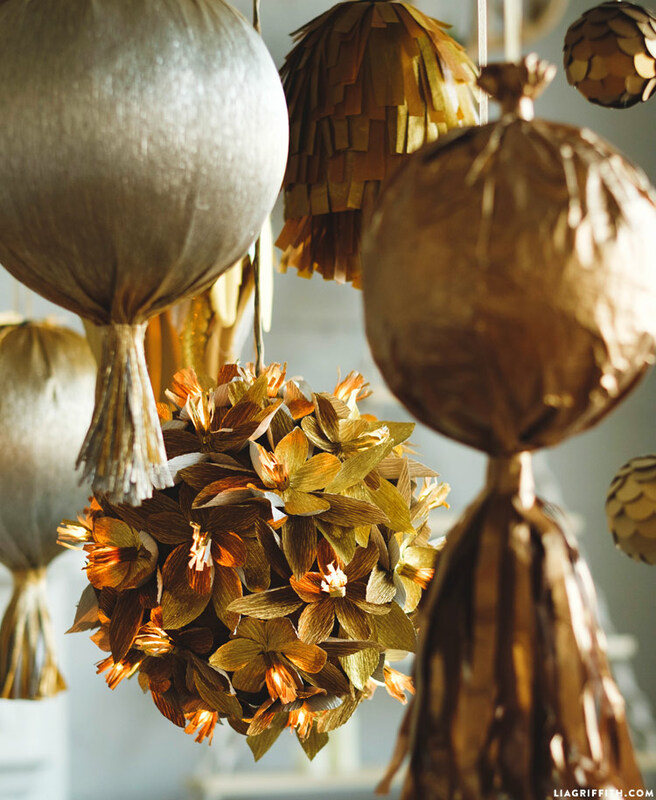 The crowning feature of our DIY paper party lantern is the pretty crepe paper blooms adorning the ball. For these we used a combination of the Gold Satin color in our holiday floristic crepe pack and a brighter gold floristic color also made by Werola. Print the PDF template below to cut your flower petals and centers. 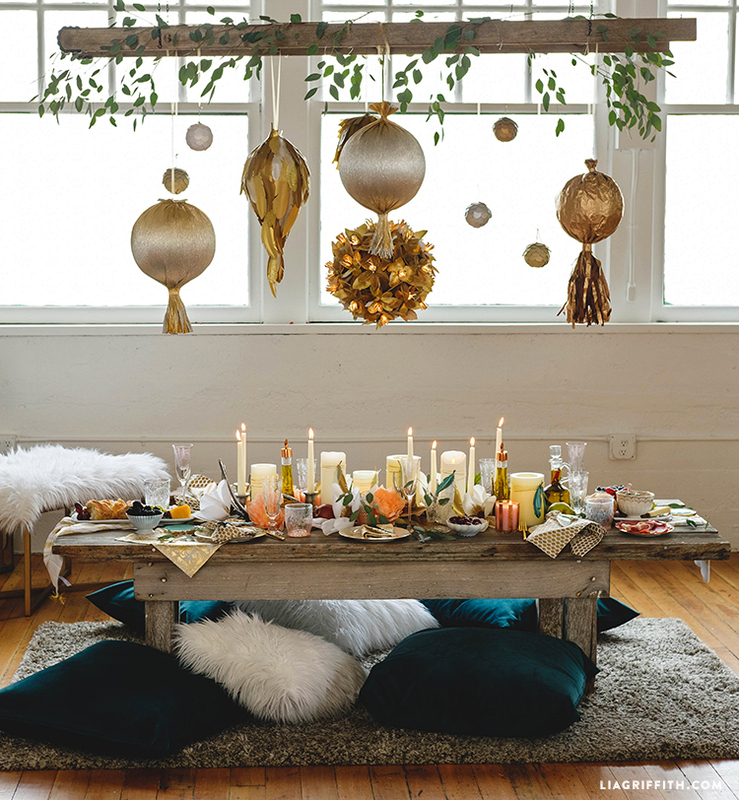 Use a strand of regular string lights to wrap around the ball in any way you’d like, then arrange the petals around the lights! 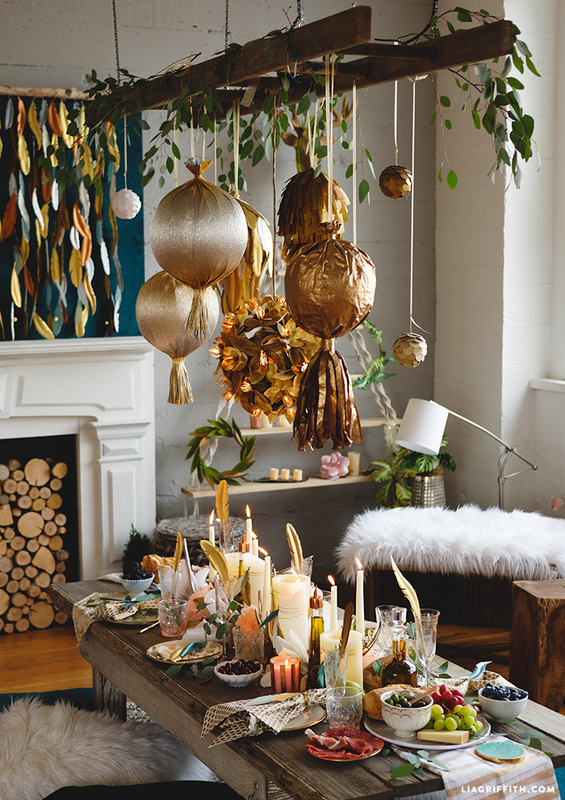 We secured the string lights by gluing strips of tissue paper over the cord. 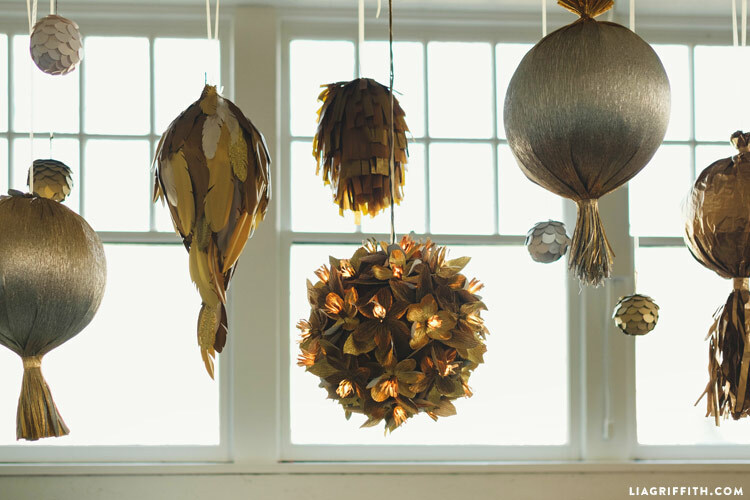 You are not actually putting any glue onto the lights, so you can easily re-use them for other projects! 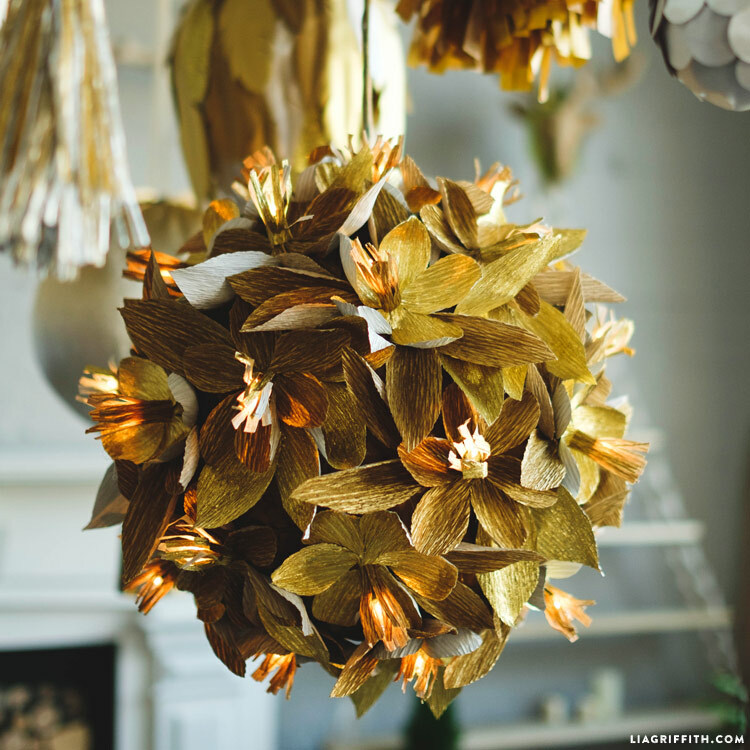 Wrap the fringed centers around the lights so that each bloom comes to life. GORGEOUS!! Happy New Year to you! Thanks so much, happy holidays! Thanks Marie! We just have a photo tutorial for this one, along with the template to download.